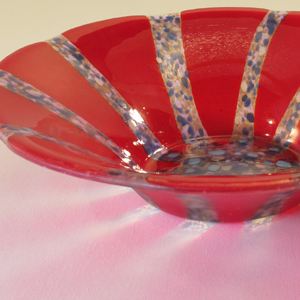 Here are a few fused glass dishes we’ve created recently. Besides these styles of bowls and platters, we have smaller bowls, round and square plates, and dishes in other interesting shapes. Lots of new styles emerged this winter. Our next showing is at the Philadelphia Invitational Furniture Show.